Sitting for long hours in itself is a big setback for your health and to add to your miseries comes your slouching posture which drains out all the energy from your body. As a result, you soon start feeling bored with your work and fatigue starts taking over you. 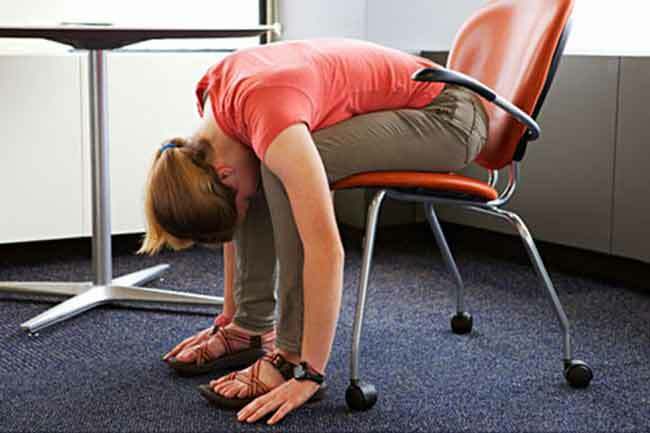 Most people avoid stretching exercises because they think they will appear silly in the office doing it. 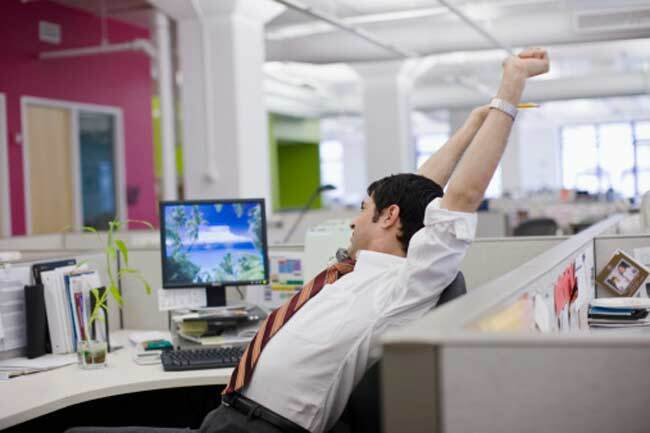 So, here are some effective stretching exercises which will not embarrass you at your work place and will help you re-gain your lost energy. Sit straight on your office chair and keep your head directly over your shoulders and your shoulders directly over your hips. Take a deep breath while you bend your right ear towards your shoulder. Hold it that way for at least 15 seconds and switch to the opposite side. If your job demands long hours sitting on the desk, then this exercise is the best remedy for you. Lift your arms to shoulder height and place your palms overhead facing forward. Pull your elbows behind your body and squeeze your shoulders. Hold this stretch for 15 seconds and then repeat it. Take a deep breath and shrug your shoulders lifting them up. Hold this way for some time and then release and drop. Repeat this at least 3 times. While you breathe, turn to the right and hold the back of your chair with your right hand and arm of the chair with your left hand. Hold on to this position and then come back. Slowly come back and repeat this on the other side. While sitting on the chair extend your legs straight. Flex and point your toes at least 5 times. Relax and then repeat. Hug your body by placing your right hand on left shoulder and left hand on the right. Inhale and exhale while holding onto this position. Sitting on the edge of your chair place your feet together and extend flat on the floor. Lean on your keens while your arms hang loose on the floor. Bring your arms under your legs and hold left wrist with right hand and right wrist with left hand. Feel the stretch on the back. 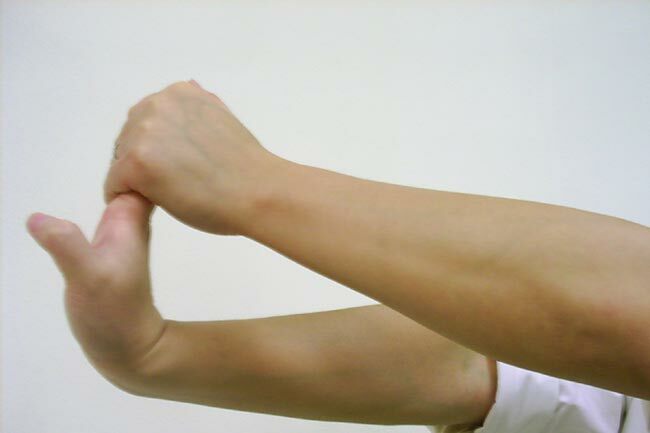 Stretch your hands in front of your body and hold both the fists. Make circles in air clockwise 10 times and then do it anti-clockwise. 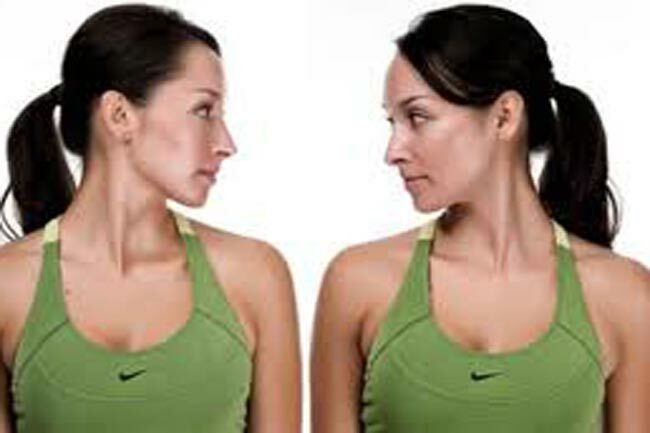 Keep your shoulders straight and turn your head on one side. 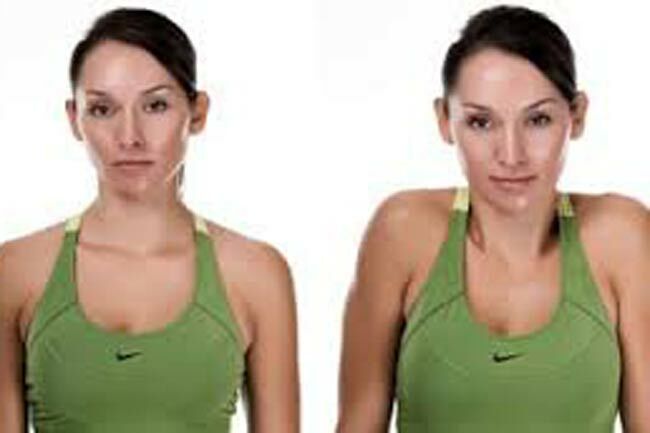 Hold your neck in this position for 15-30 seconds and then relax slowly. Sit straight on your chair and bring your knee towards your chest. With your hand grab your thigh gently. Hold it on for 30 seconds and return to the original position. Repeat it with your other leg.